With Fun Facts, Trivia, Comics, and More! Learn about Snoopy, Charlie Brown, Lucy, and the rest of the Peanuts gang in this collectible guide perfect for every fan, new and old! Get to know Charlie Brown, Snoopy, Lucy, Linus, and all their friends in this ultimate guidebook to the Peanuts characters! Learn how Charlie Brown got his famous zigzag shirt, visit Lucy’s psychiatric booth for advice, meet Snoopy’s siblings, and more! Plus, see how the Peanuts characters changed over time and read quotes from their creator, Charles M. Schulz. Soon, you’ll practically be one of the Peanuts gang! 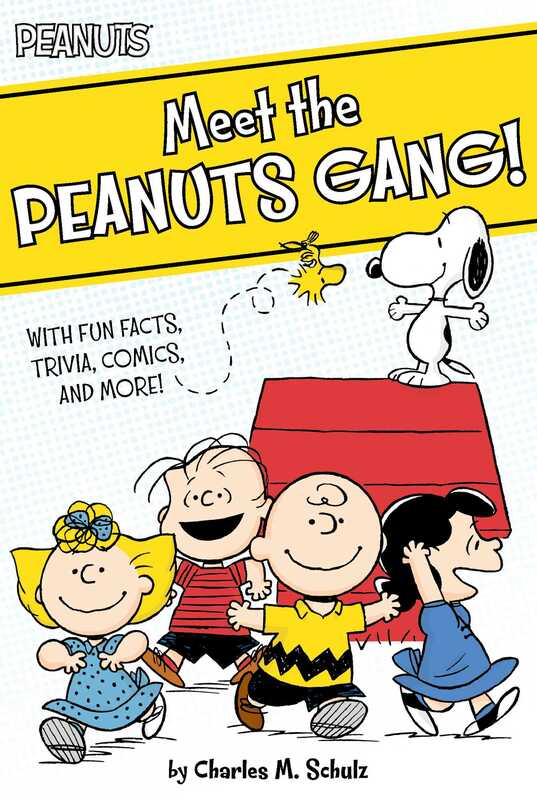 Filled with fun facts, trivia, and comic strips about each character, this guidebook is perfect for nostalgic Peanuts fans to share with children who are discovering the Peanuts for the first time! Book Cover Image (jpg): Meet the Peanuts Gang!